Pongal festival or Makar Sankranti festival has astronomical significance in India. It marks the movement of the Sun god towards north and is known as 'Uttarayana' (the first six months of the Hindu calendar. 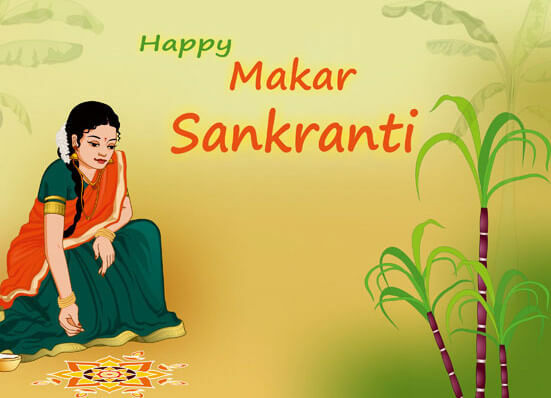 Makar Sankranti is also celebrated as harvest festival. Makara Sankranthi refers to the event of the Sun entering the zodiac sign of Makara or Capricorn. Sun god is worshiped for giving light and life giving harvest. 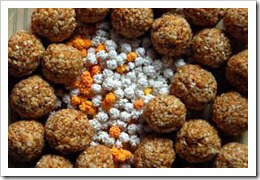 Sankranti is generally celebrated between 13th to 15th January every year. In 2018, bhogi is on 13th January and Sankranti / Pongal is on 14th January. This day is timed according to winter solstice, which is the day on which the north pole is the farthest from the sun. People exchange the mixture of sesame seeds (Til) and jaggery (gud). This exchange is done up to Rathasapthami day, which falls sometime after the Makar Sankranti day. In 2018, Ratha sapthami falls on 24th January . 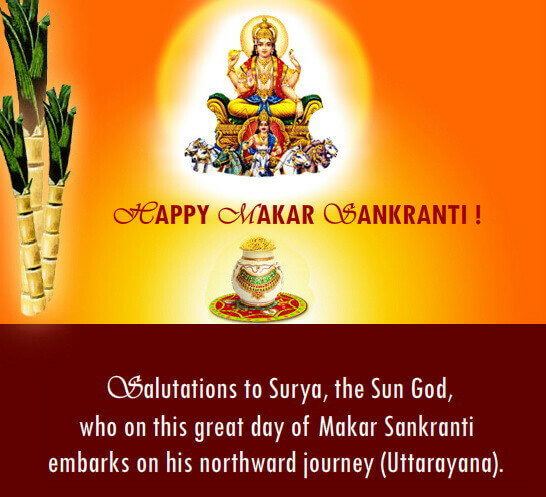 Makar Sankranti is known by different names in different states of India. In Tamil Nadu it is Pongal. The sankranti or pongal festival is celebrated for four days. In Assam it is celebrated as Magh Bihu and Bhogal Bihu. In Himachal Pradesh, Punjab and Haryana it is celebrated as Lohri festival. In Uttar Pradesh it is Khichdi or Donation festival. In Bihar it is known as Til Sankranti or Khichdi festival. In Maharashtra, it is known as Makar Sankranti. According to Hindu customs and traditions, it is inauspicious to wear black on festivals. However, Makar Sankranti is an exception. In many regions in Maharashtra, people wear black colored dress on Makar Sankranti day. Since it is winter, black colored clothes are worn on sankranti day to keep the body warm. A lot of importance is given to til (sesame seeds) due to the same reason. Sesame seeds (Til) are used to fight the cold in winter, as sesame contains healthy oils. These customs were decided by the ancient Hindus keeping in mind the virtues of using certain foods during a particular season. Friends, relatives and neighbors exchange good will by exchanging Til Gul on the day and say “til gul ghya, god god bola” meaning , “let there be only friendship and good feelings between us”. In Karnataka, on 'Sankranti' day, cows and bullocks are decorated and fed 'Pongal'- a sweet preparation of rice and moong dal. Another major highlight on the day is kite flying. During the season, colorful kites fill the skies in many parts of India. Sankranti or pongal festival is celebrated as harvest festival, 'Indian Thanks giving festival'. Newly harvested rice, moong dal (split mung bean) is used in cooking on that day. Fresh turmeric, rice, sugarcane is used in cooking as well as in worshiping the god. People visit places like Ganga Sagar and Prayag and other holy rivers to take a dip in the river and pray to Lord Sun. The day before sankranti /pongal is known as bhogi festival. Both bhogi and sankranti festival has its own special menu comprising of the seasonal ingredients. These ingredients keep the body warm in winter. 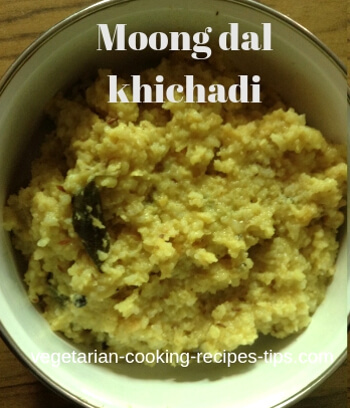 A rice dish known as khara pongal/ huggi / khichadi is prepared with rice and moong dal. A savory/spicy version is prepared in the southern as well as northern states. 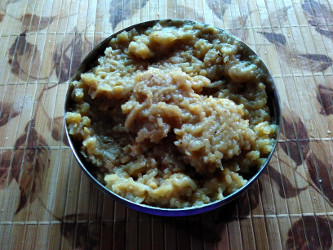 In south, sweet pongal is prepared with sugar or jaggery which is yummy. Bhogi is the last day of dhanurmaasa. Fresh harvest of rice, turmeric and sugarcane is brought in from the field as preparation for the following day. Bogi festival or Bhogi is the first day of Pongal and is celebrated in honor of Lord Indra, "the God of Clouds and Rains" for giving prosperity. On Bhogi day some daana(donation) is given to a needy family. These provisions include rice, moong dal, ghee, oil. Milk, dahi and vegetables etc. Through this daana (donation), everything that you use for cooking on bhogi day is shared with another family. In Maharashtra and north karnataka, Indian winter vegetables such as carrots, fresh green chana(harbhara), brinjals, beans are used to make ‘bhogichi bhaji’, a mixed vegetable curry on bhogi day. 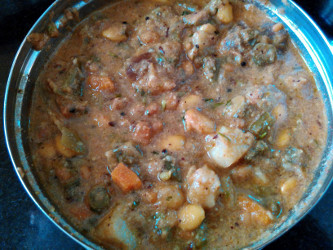 In Maharashtra this mixed vegetable stew is also known as 'Lekurvali'. 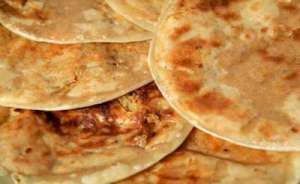 It is served with bajra bhakri (pearl millet flat bread). Bajra helps to keep the body warm in winter. Bhogichi bhaji / Winter vegetable stew - Mixed seasonal vegetables are cooked with spices. Bhogichi bhaji is made on Bhogi day - the day before Sankranti. It is a mixed vegetable stew, made with the seasonal vegetables. This is a Maharashtrian recipe. 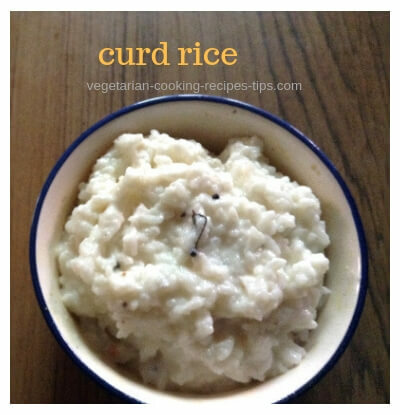 Khara pongal - Venn pongal - Apart from that other varieties of rice dishes are also prepared. Tilgul poli - is made in Maharashtra and north Karnataka. Tilgul (mixture of sesame seeds, jaggery, peanuts, dried coconut ) is exchanged with everyone asking them to be sweet and nice the whole year. 'Til' is 'sesame seeds' and 'gul' is 'jaggery' in Indian language. Sugar coated sesame seeds are also known as tilgul. Tilgul is also be made into Tilgul vadi (fudge)or Tilgul laddoo (balls) in Maharashtra and North Karnataka. In Southern part of Karnataka, a mixture or sesame, dry coconut, roasted peanuts, jaggery, roasted gram is exchanged along with a variety of sugar sugar candy in different shapes. These sugar candies are made at home or store bought. These sugar candy are in the shape of animals, flowers etc.